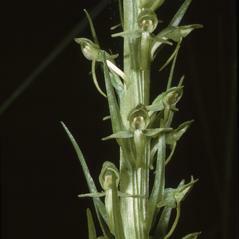 Platanthera sparsiflora, the Sparsely Flowered Bog Orchid, grows in the Western United States and parts of Mexico and can be found at elevations up to 3350 meters in California. 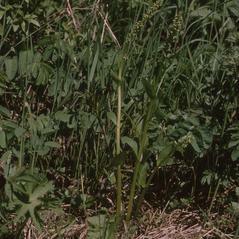 This orchid is generally 40-60 cm tall with alternate, linear leaves along the stem. 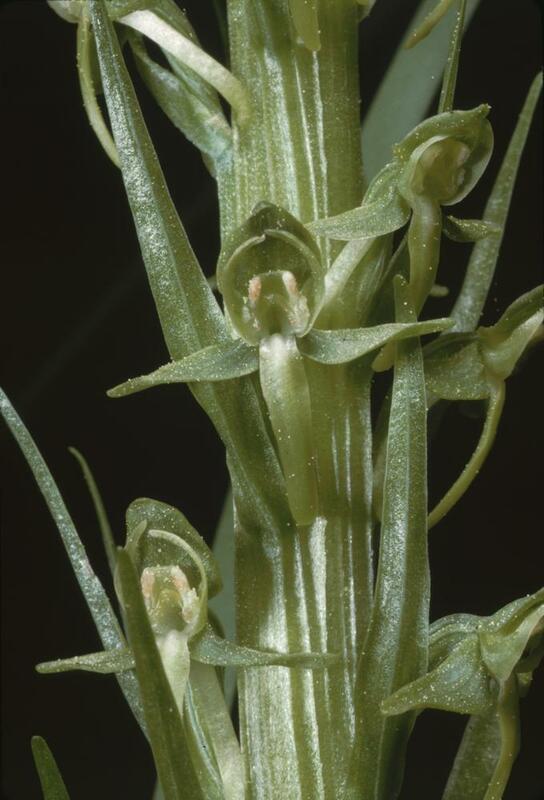 Despite its common name, plants may produce over 100 green to yellowish-green flowers, usually with lateral sepals that are reflexed and twisted, giving the flowers a narrow profile. 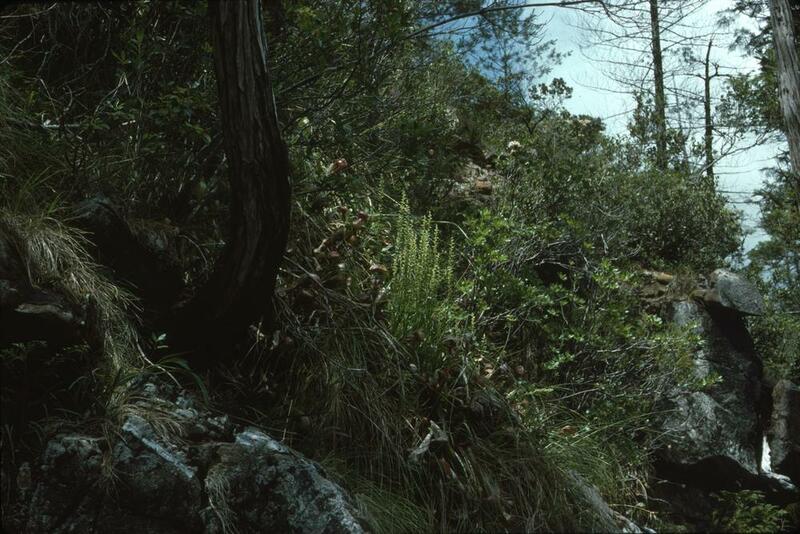 P. sparsiflora can be distinguished by its large column that fills half or more of the hood formed by the dorsal sepal and petals. 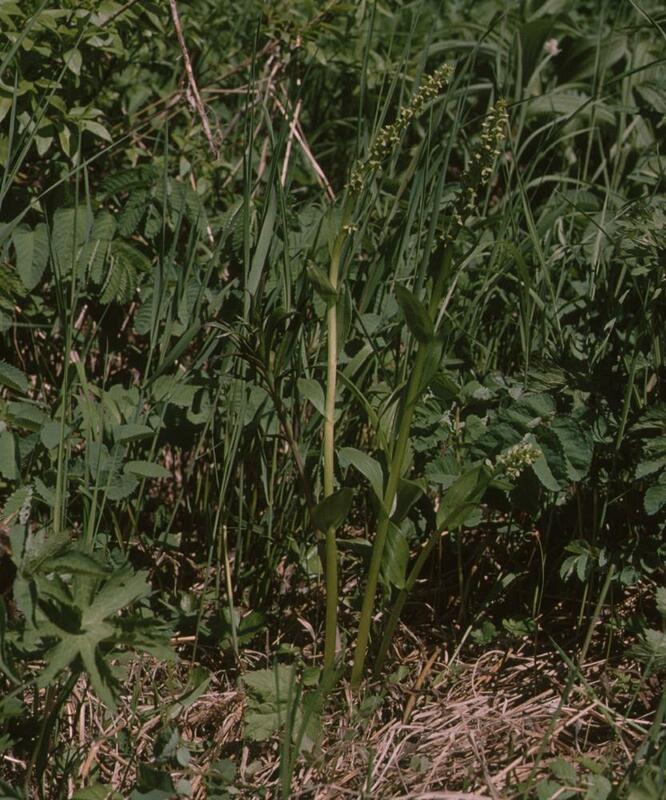 It grows in wet substrates, including damp meadows, streamsides and seeps on the sides of canyons, and disturbed areas, such as roadside ditches. 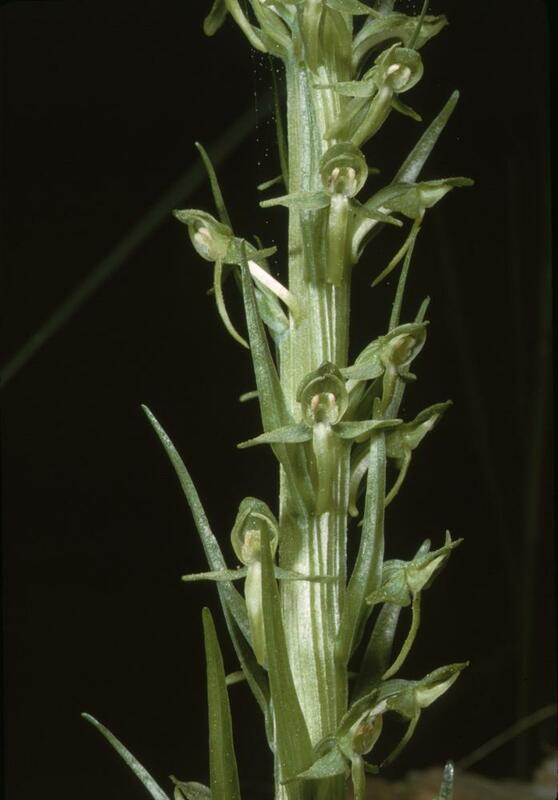 Platanthera sparsiflora is apparently secure because of the large number of plants that grow in widely scattered locations including protected areas within state and national parks. 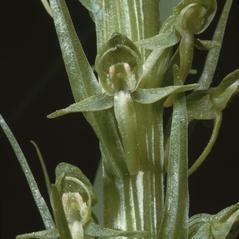 This fragrant orchid is pollinated by small moths in search of nectar. 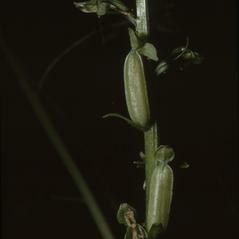 Pollinia attach to the proboscis as the moth withdraws from the nectar spur. 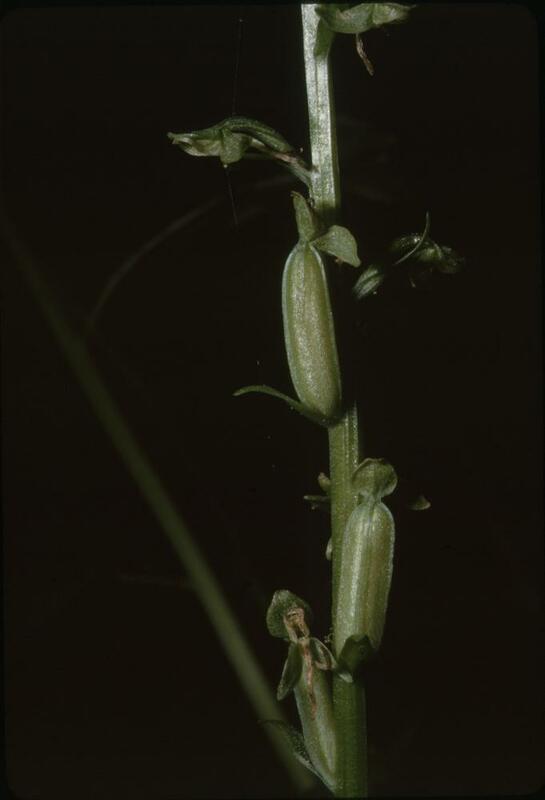 The next flower the moth visits can be pollinated as the pollinia are transferred to the stigma located directly above the opening to the nectar spur. 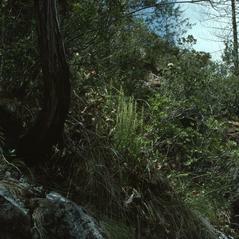 Plume moths in the genera Oidaematophorus and Platyptilia are likely pollinators.